Yupanqui was the #1 male pick of the 1995 Five star Peruvian Importation. This outstanding full Accoyo white stud male had extremely fine (20.8 at five years old), bright, deep amplitude crimp, dense fiber and prolific history. He consistently produced award winning crias with similarly outstanding fiber. 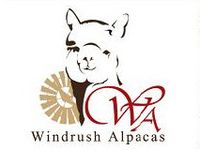 Yupanqui, a well-known male for producing quality, had the wonderful ability to deliver crias in the full array of the 22 natural alpaca colors and totaling over 100. Sadly Yupanqui passed away in 2005. 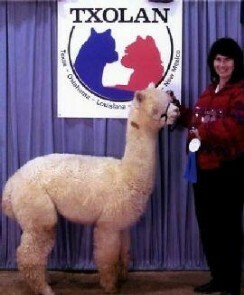 Our first alpaca and the cornerstone of our breeding program. ***UPDATE*** Regent's Offspring are taking the show circuit by storm, three have Color Championships and two have Reserve Color Champions. 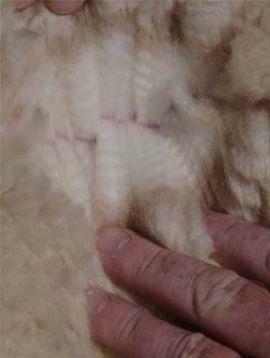 One of his offspring has also had the highest fleece score in every show her fleece has been entered in. 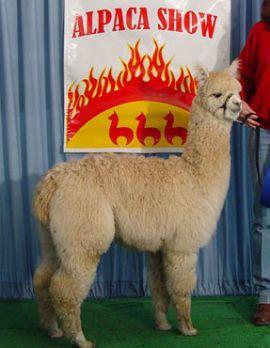 Book your breeding to Regent to produce your Color Champion cria today! Our fine Accoyo/Alianza Herd Sire, Prince Regent, will bring to your herd his own unique qualities acquired from the genetics of PPP Accoyo Yupanqui, Peruvian Fabio and Peruvian King Solomon. Prince Regent's fleece is outstanding with luxurious handle and that dramatic Accoyo architecture - and just look at that coverage from topknot to toenails! 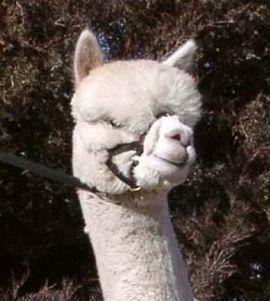 A true to type alpaca who displays excellent bone density, correct bite and great confirmation, Prince Regent has been a consistent winner in the show ring - in halter and in fleece. Prince Regents' cria range the full spectrum of color from white to black and bear their sires soft, dense, bright fleece and plenty of it. Regent's crias all exhibit long staple length and the same head to toe coverage of their sire - and if you are partial to the Accoyo head Regent will put that on your crias too. Regent is a great choice if you are looking to greatly improve an average dam's offspring, and when bred to great dams the results are magical! Everyone is looking for a bargain in the current economy; a breeding to Regent is all that and more. He produces superior offspring at below average stud fees. Contact us today to book your breedings for your girls!